AiQ is proud partner of the Innovation World Cup® Series, the world-leading competition in the areas of IoT and wearable technologies. 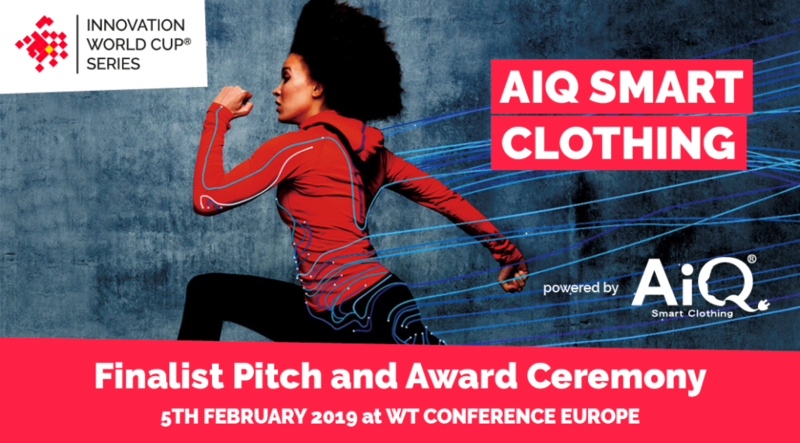 Together, we are glad to invite you to the official pitch and award ceremony of the AiQ Smart Clothing Special Prize of the 10th IOT/WT Innovation World Cup® happening on February 5th 2019 at the 33rd WT | Wearable Technologies Conference, THE meeting point for global professionals of the entire wearable ecosystem at ISPO Munich. 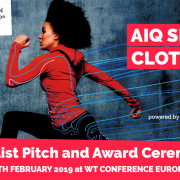 Join us on February 5th in Munich, cheer for Anaxeos, HealthWatch, Re.flex and Myant and connect with them in the extensive exhibition area hall within the ISPO fairgrounds. Benefit from an exclusive 30% discount with the promo code IWCPartner_30. Get your ticket now not to miss out on the world‘s most profound and comprehensive wearable technologies and IoT event.